Saint Raphael Academy is pleased to announce the formation of a partnership with Overbrook Academy in 2017, and will begin enrolling international students in grades 10 and 11 in the 2018-19 academic year. Overbrook Academy is a private Catholic international boarding school for girls in 6th through 9th grade. 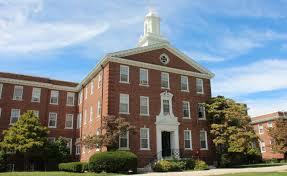 Established in 1985 and located in Greenville, RI, the school guides students both academically and spiritually. In the partnership with SRA, international students will enroll at SRA in grades 10-12 and live on Overbrook’s campus. SRA will continue the rigorous academic and spiritual development of girls throughout high school. Students will also strengthen their English language skills during those years. “This is a wonderful opportunity for both academies to work together, and we look forward to continuing this relationship for many years,” said Principal Dan Richard. The enrollment process begins through Overbrook Academy. See their website for details.